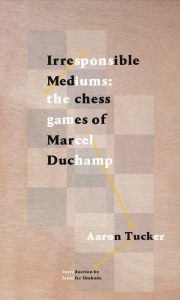 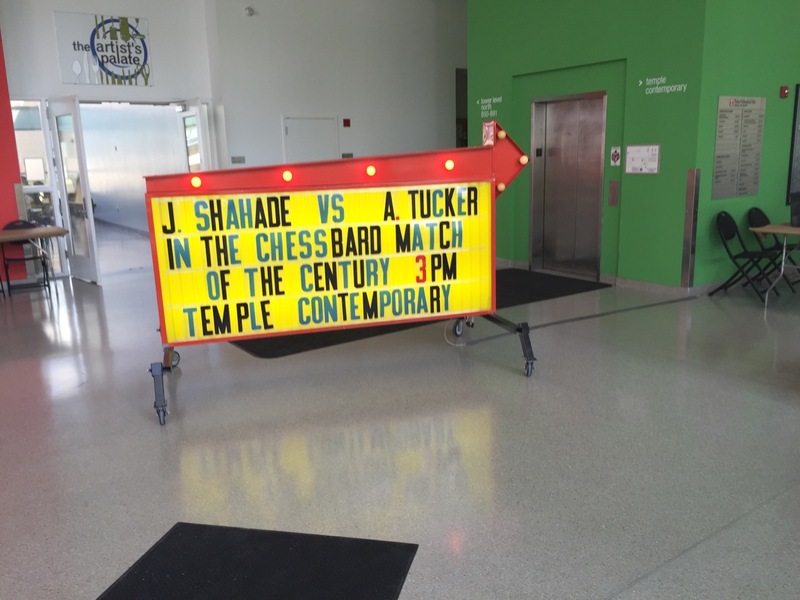 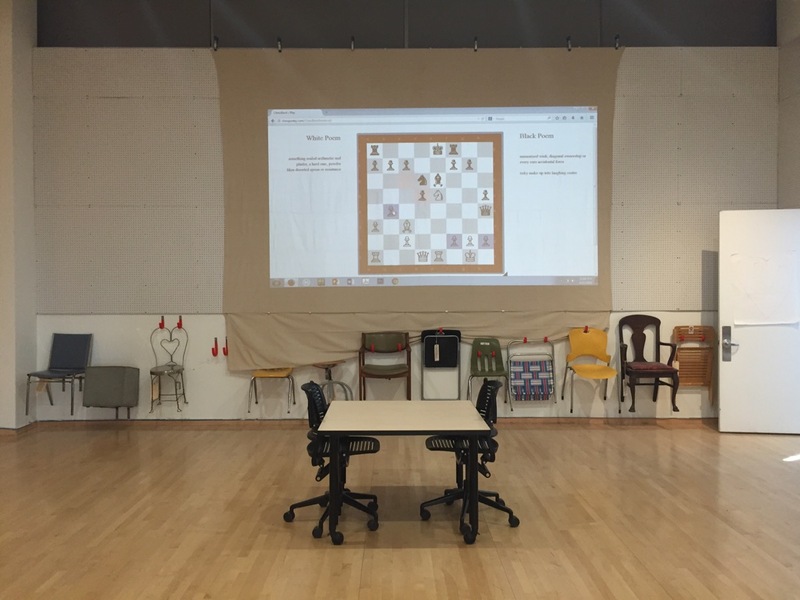 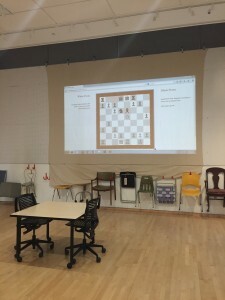 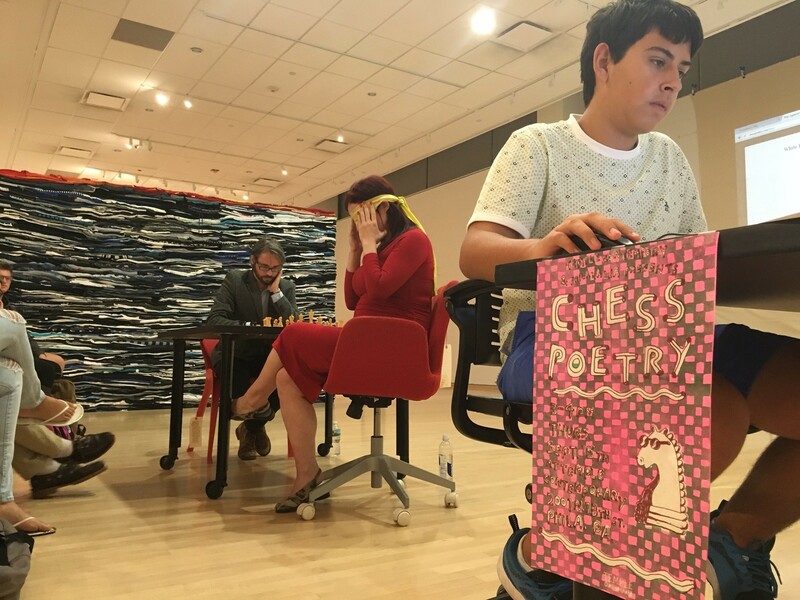 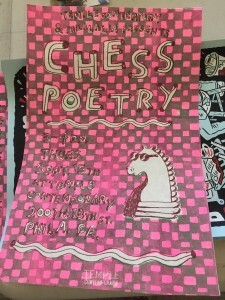 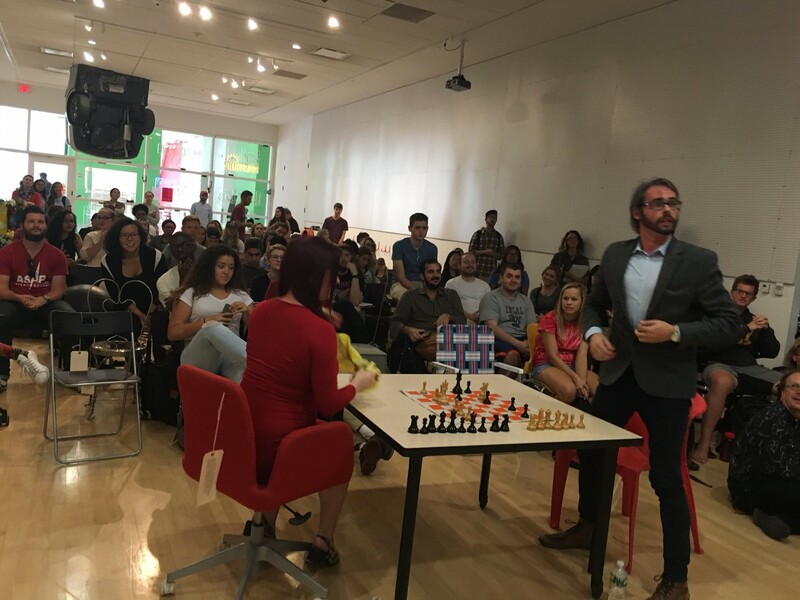 The ChessBard travelled to Philadelphia on September 15th 2016 for an exhibit and performance at the Tyler Contemporary Gallery at Temple University. 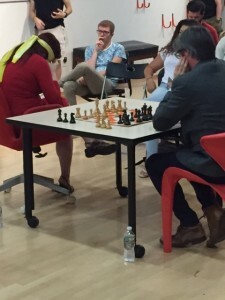 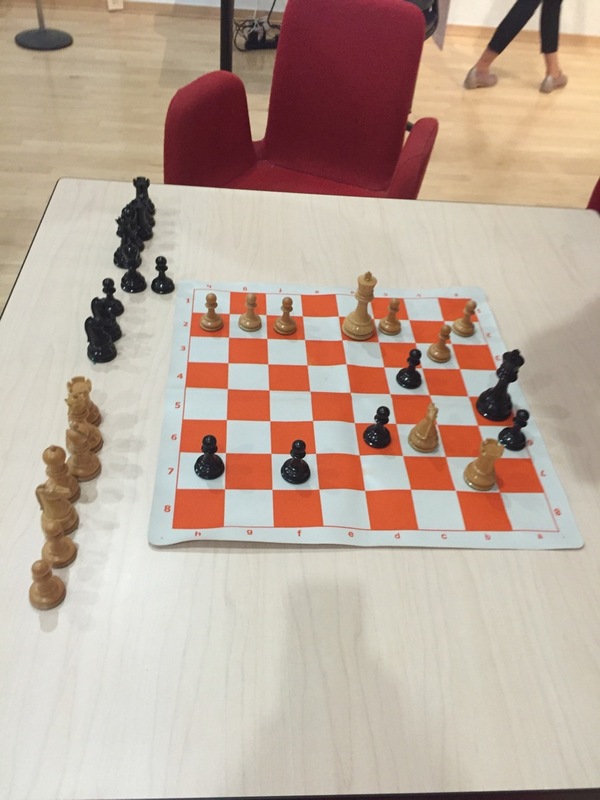 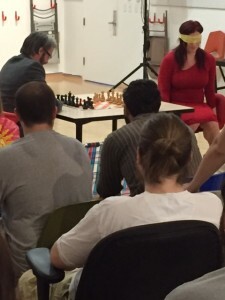 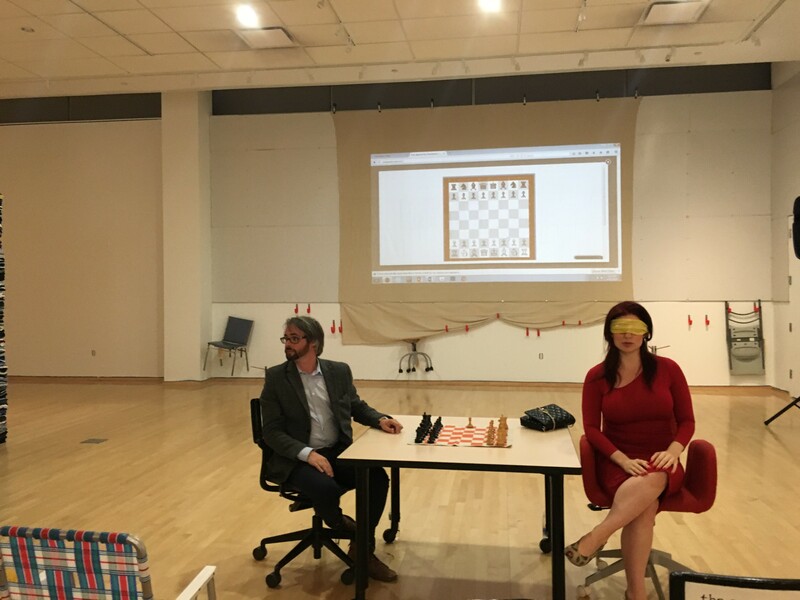 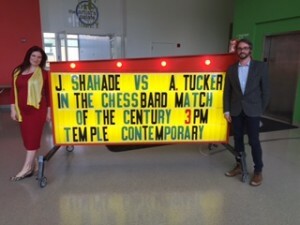 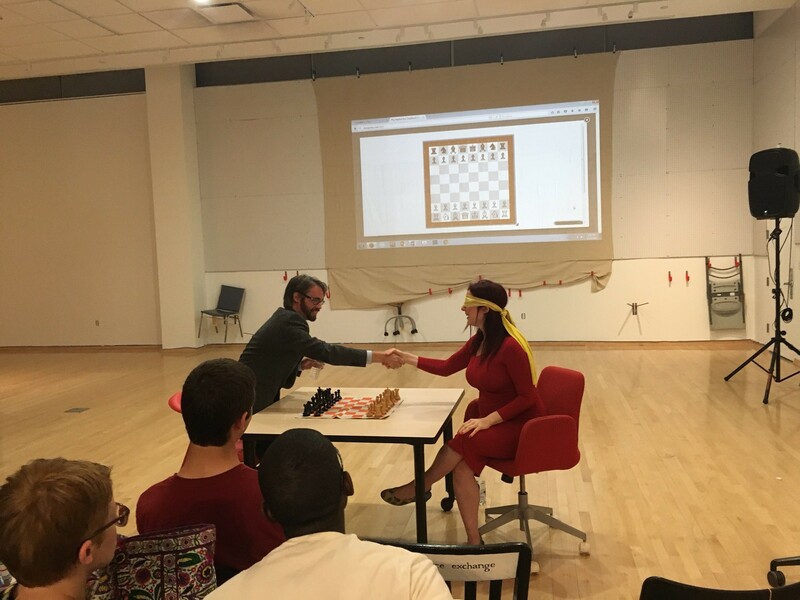 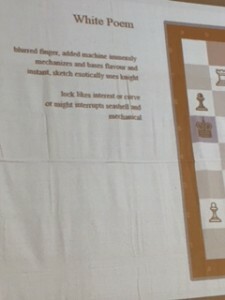 In front of a large and interested crowd, two-time U.S. Women’s Chess Champion Jennifer Shahade played blindfolded against Aaron Tucker; the game, which Shahade won by checkmate, was translated in real time behind them. 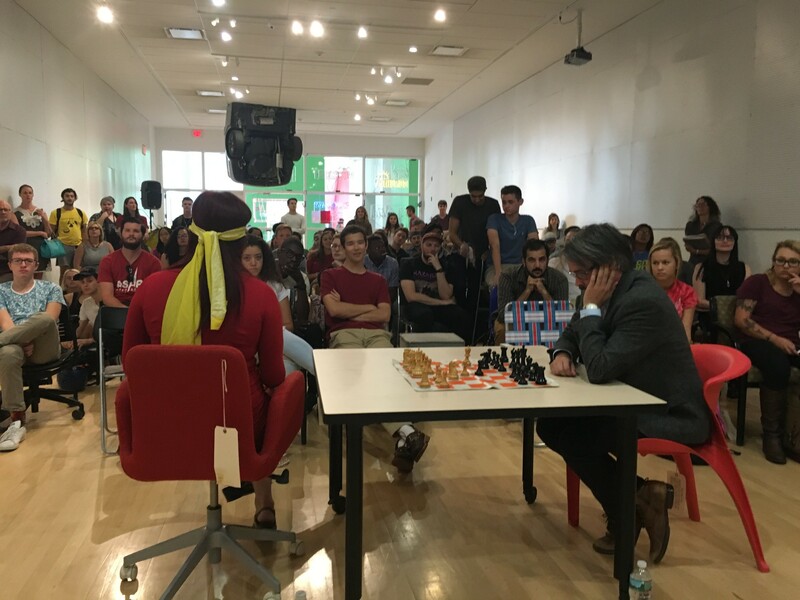 This was followed by a very spirited Question and Answer period with a number of really wonderful and insightful queries and comments from the spectators. 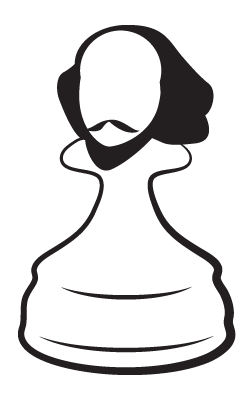 Which memorized wink cored bound negative? 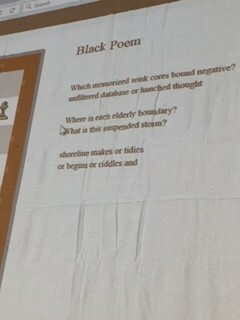 What is the suspended storm? 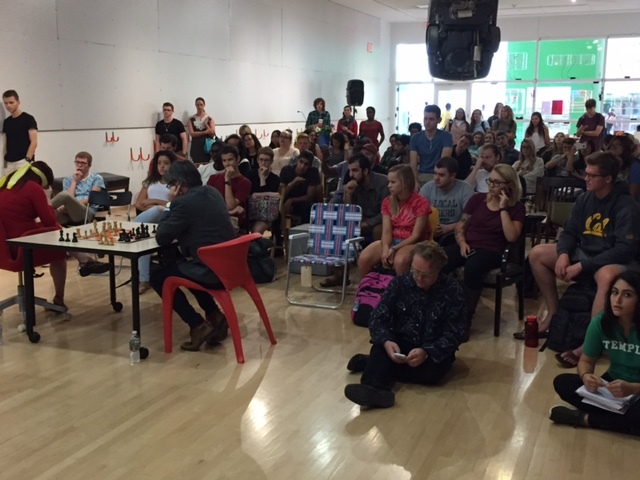 Thanks to Daniel Meirom for the larger photos and Kevin Varrone for some of the smaller photos below! 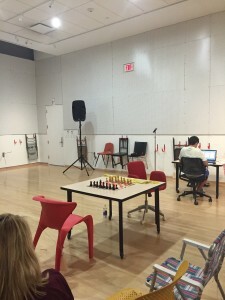 Thanks to Philalalia for hosting and to the Canada Council for the Arts travel funding.